PFF Analyst Mike Manning takes a look at Derek Carr's performance on deep passes and explains why the addition of Antonio Brown and Tyrell Williams could pave the way for a breakout season in Oakland. Director of PFF Fantasy Jeff Ratcliffe breaks down the players seeing the biggest shifts in fantasy value based on the first wave of NFL free agency. PFF Fantasy editor Daniel Kelley identifies some surprising quarterback names who could help in 2019 best ball fantasy football. PFF Fantasy editor Daniel Kelley recounts the best fantasy football performances at each position for the Oakland Raiders over the last decade of action. Will Antonio Brown's production drop going from Big Ben to Derek Carr? 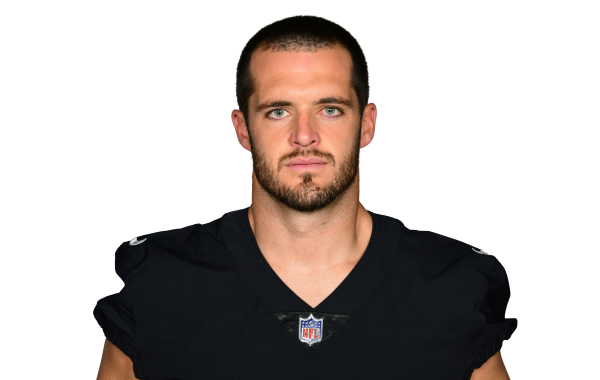 Trading Ben Roethlisberger for Derek Carr should lead to a drop off in production for Antonio Brown. The question is: How big will that drop off be? PFF Fantasy editor Daniel Kelley picks out some of the top moves the Oakland Raiders could make this offseason for fantasy football purposes. With the 2019 offseason looming, Senior Analyst Mike Renner takes a look at the biggest offseason question for every NFL team.